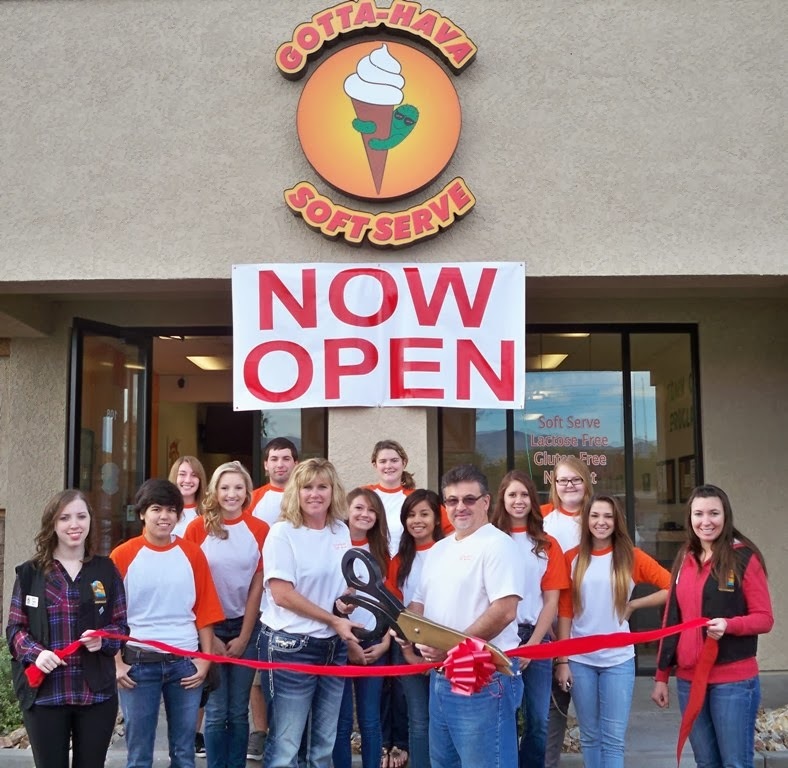 The Lake Havasu Area Chamber Ambassadors held a ribbon cutting ceremony for Gotta-Hava Soft Serve celebrating its grand opening and new Chamber membership. Attending the ribbon cutting from left to right were back row Brooke Huffman, Andrew Barrio, Kathleen Rabideau, Krista Henderson, front row Becca Gales, Erin Cantu, Cimmaron Davey, Chris Barrio, Rachel Hopp, Ariana Briseno, Ernie Barrio, Alexandra Springberg, Bridget Parriera, and Crystal Alger. 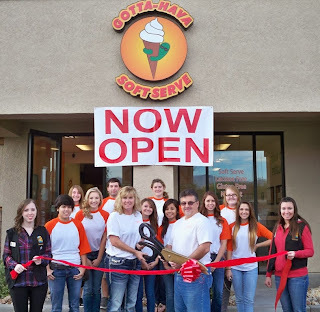 Gotta-Hava Soft Serve is a full service soft serve yogurt shop featuring custard yogurt, lactose intolerant, gluten free, and non-fat yogurt. For more information visit them at 91 London Bridge Rd # B108.